Advertising through Pay Per Click is a wonderful method of getting your needed visitors when traffic is needed. The bad news is that it does bring some risks with it. You can spend a fortune with poor management, such as generating many visitors but ending up with no profit. Knowing a few strategies for a successful Pay Per Click campaign will help you reach your goals. 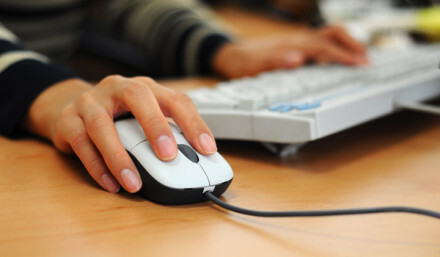 For marketing professionals online, strategies for Pay Per Click need to be on your short list. Pay per click ads will help you narrow down and attract customers that are more qualified to your website. Whether you are an online marketing newbie or have been doing this for a while and are attempting to do PPC as an alternative type of promotion, going through with it will definitely do wonders for your visibility. Here are 4 PPC marketing strategies that you need to know. Learn how to use the Google Keywords tool in order to identify keywords that relate to your business and pick relevant target terms. Keeping your target market in mind and using this process will help you develop lists of keywords. Do this by going inside your user’s mindset. Think about searching terms you would type if you wanted to buy a product from your promoted website. Categorize these keywords with every group having a product, topic or theme. As you research keywords, remember that it is just as important for you to list keywords that are negative in order to block or isolate those which are irrelevant. Having a comprehensive list of keywords that are negative often helps lower costs, improves rates for click throughs and reduces clicks that are wasted. Once you have a keyword list that has relevance to your target market, you need to logically structure your campaign around the keyword list. Using not more than 5 or 10 keywords at one time, split your list of keywords into specific groups of ads and begin to focus on the structure of your campaign. Keep in mind that there is no such thing as ad groups that are too many and there is no restriction for conforming to a specific maximum or minimum number of audiences and offerings your campaign targets. Before even worrying about who the audience you are targeting is and what keywords you prefer to target, you need to understand what achievements you are looking for when running a PPC campaign. With no underlying business goal that you can compare your success against, a PPC campaign does not make much sense. Some questions you need to ask yourself include: How much every action is worth to your business? What are the main actions that should be taken by users on the site? What goals will be fulfilled by a PPC campaign? Understanding business goals such as these will let you begin to develop a meaningful campaign. Usually, you promote your website using original content that is high quality, user friendly and well-structured. This lets the customers you deliver through PPC campaigns make a purchase quickly and easily while navigating smoothly through your site. The bad news is that not everyone has the ideal landing page and many times, you will need to do a bit of tweaking so that your clients get a better experience. Make sure that the primary keywords you are planning to target for in any particular advertising group are contained within the heading tags of the HTML and in the page title. By understanding these four rules of advertising using PPC, you will create better campaigns and increase your traffic and sales. This article is writen by Mark Jones of osiaffiliate.com.